Cricket Wireless is the no-contract subsidiary of AT&T, which previously went by the name AIO Wireless, until AT&T bought the Cricket brand in 2014 from its founder, Leap Wireless. You may have seen the company’s TV commercials that show odd-looking green cartoon creatures that look a little like Star Trek‘s tribbles. They’re a major force in the growing trend towards more mobile phone buyers getting cheaper handsets and paying up front for them. There are a couple of nice things about using Cricket plans. One is that the phones connect to AT&T’s network. That means that you can bring almost any unlocked phone in, as long as it can use GSM wireless hardware. The other thing is that they have a variety of plans designed to fit pretty much anyone, even folks who just want a phone to talk with and not any of those smartphone features that the kids like so much. Other perks for all of Cricket Wireless plans include no surprise charges — what they list is what you pay — and pretty decent discounts for multiple lines. We are taking a look at some of the straightforward plans you can sign up for at Cricket Wireless. Be aware that if you buy a phone directly from Cricket and sign up to use one of its plans, it cannot be unlocked to be used on any other network besides AT&T for at least six months after you purchase it. If you just want to get network access for your phone with calling and text services only, there are Cricket Wireless plans that cost as low as $25 a month. Get unlimited calls and texts in the U.S., but be aware that you won’t be able to send any picture or video-based messages. You also won’t have any data at all. If you want at least a little bit of data, Cricket has a plan with unlimited talk, text and 2 GB of high-speed LTE data for $30 a month. Neither one of these plans support multi-line discounts or AutoPay bill discounts. Going up to $40 a month raises the high-speed data limit to 5 GB with the same features. If you use AutoPay you can reduce the price of that plan to just $35 a month. However, it is still not available for multi-line discounts. All of the Cricket limited data plans support a feature called Stream More. It is turned on by default and will reduce some high-definition streaming video down to 480p resolution. This feature can be turned on or off at any time. Sign up for a limited Cricket plan now! There are actually two unlimited Cricket Wireless plans to choose from. We’ll start with the cheaper plan. For just $55 a month, ($50 a month if you use AutoPay) you can sign up for Cricket’s standard Unlimited plan. It offers unlimited talk, text, and high-speed data in the U.S. for one line. Be aware that there is a maximum download speed of 3 Mbps for this plan. Also, if you are one of the few users that exceed 22 GB of data before the end of the billing period, you may find that your phone’s download speeds get cut down for the rest of that period. The other plan is called Cricket Unlimited Extra. For $60 a month ($55 a month with AutoPay billing) you get unlimited talk, text, and data, but there are technically no restrictions on the download speeds. Cricket does say that if your local network is congested, download speeds may be cut down temporarily. Both of these plans support video streaming at 480p, unlimited calls, texts and picture messages to and from Mexico, Canada, and the U.S., and 10GB of high-speed mobile hotspot data. If you go over 10GB, the hotspot speeds will go down to just 128 Kbps. The unlimited plans also support roaming in Mexico and Canada for calls, texts, and data. You can also send unlimited texts to 37 countries on both unlimited plans. Sign up for aN UNlimited Cricket plan now! Have a family, or a group of friends, and a Cricket unlimited plan? You can save big with multi-line discounts, it works like this — first line, pay full price which for the standard unlimited plan is $55 a month. The second line gets you a $30 discount, or $80 a month. The third line gives you an extra $10 discount or $90 a month. The fourth line gives you yet another $10 discount, so you pay just $100 for four lines. Finally, if you want to get the fifth line, you just pay $25 for that extra line, making the bill $125 a month. For the Cricket Unlimited Extra plan, you pay $60 a month for one line. The second line gets you a $30 discount, or $90 a month. You pay $120 a month for three lines. The fourth line makes the total bill $150 a month. Finally, if you want to get five lines, the total bill will be 180 a month. The discounts only apply to unlimited plans. Keep in mind that you’ll only get one bill, but the good news is that family and friends don’t need access to your Cricket account to pay their share. Cricket plans have a quick pay feature that just lets you put in your number and send a payment. It’ll credit the account associated with the number, so no need to give out your account login to a bunch of people. Most Cricket wireless plans support a number of optional add-ons that offer extended features. For an additional $5 a month, you can add Cricket International, which supports unlimited calls to landline phones from the U.S. to 35 countries. If you pay an extra $15 a month, that provides access to Cricket International Extra, which also offers unlimited landline calling to 35 countries, plus unlimited picture and video messaging to those same countries. Finally, it offers 1,000 minutes of mobile-to-mobile calls a month to 31 countries. In addition, the carrier offers special add-on plans for people who just want to call specific countries. If you have one of the limited Cricket data plans, you can add 1GB of data to those plans for an extra $10. Finally, you can add mobile hotspot data for supported phones on Cricket’s limited data plans for an add-on price of $10 a month. Cricket Wireless recently launched its own Wi-Fi hotspot device, and along with it launched new Cricket Wireless plans just for data. Paying $25 a month gives you 3GB of data, while $35 a month boosts that cap to 10GB of data. If you pay $75 a month, or $65 with Auto-Pay, you can get 30GB of data. Keep in mind that Cricket limits download speeds to 8Mbps. 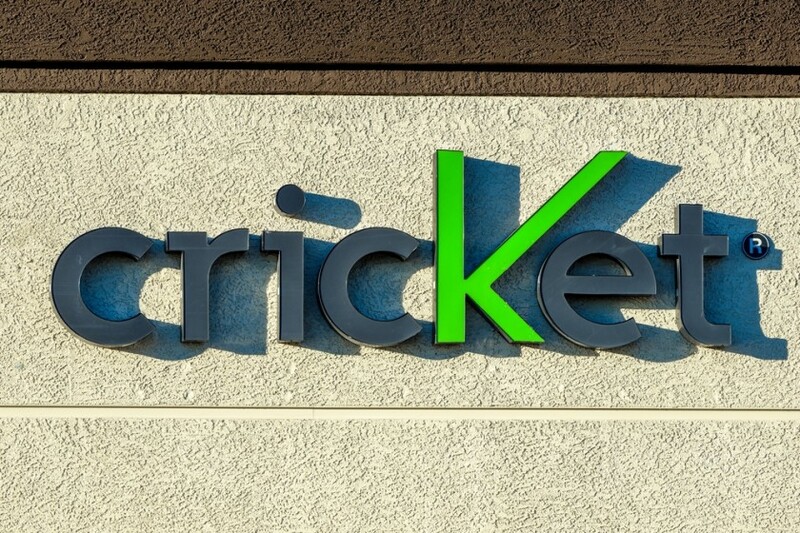 Even though its phones connect to AT&T’s network, the Cricket Wireless plans are for the most part pretty bare bones when it comes to features. You won’t find any fancy stuff like free access to HBO or a way to combine your plan with a DirecTV subscription. However, if you want to save some money, this is not a bad choice, especially if you already have an unlocked GSM phone that you bought on Amazon and you need multiple lines. The unlimited plan is also pretty reasonable for families who, again, want to save some money and already have existing phones they wish to use. What do you think of the Cricket Wireless phone plans the prepaid carrier currently offers? Let us know your thoughts!